With another seven days in the bag, we’re back with the latest installment of our Weekly Dope playlist. 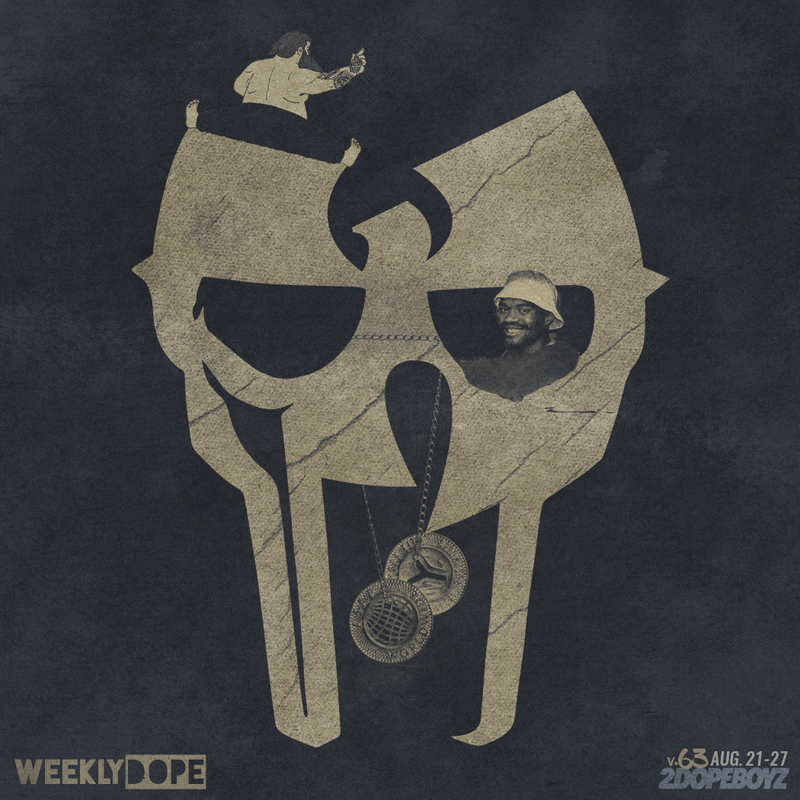 And for the artwork, we had to roll with DOOM for an Alchemist-laced cut from his Missing Notebook Rhymes, Wu-Tang for dropping a heat-rock with Redman, A$AP Mob for closing out AWGEST with Cozy Tapes Vol. 2, Brockhampton for Saturation II, and Action Bronson for finally delivering Blue Chips 7000 to the masses. On top of that, we also got projects from Buddy, Apollo Brown and Planet Asia, Berner and Young Dolph, Grieves and Lil Uzi Vert. Dreamville’s Lute made his official debut on the team, Miguel reconnected with Travi$ Scott, London On Da Track dropped a single with Nicki Minaj, Offset and 21 Savage, and PartyNextDoor dropped a handful of loosies. Plus new music from G Herbo, Syd, Termanology, Busta Rhymes and more.